The last date to submit application forms is September 22, 2018. Total number of posts available for candidates to apply is 12. The candidates will have to pay an application fee of Rs 500. Candidates who are applying should hold a bachelor degree in Civil Engineering from a recognized university. The candidates who are below the age of 40 years can apply for the above-said post. 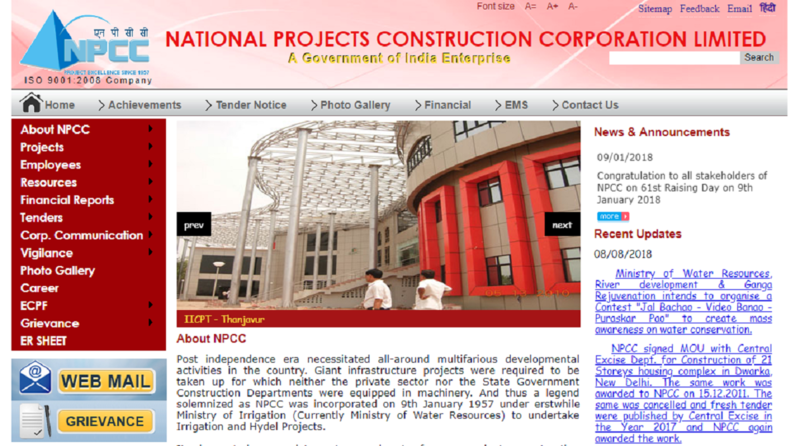 NPCC was incorporated on 9th January 1957 under erstwhile Ministry of Irrigation (Currently Ministry of Water Resources) to undertake Irrigation and Hydel Projects. It also acted as a deterrent on price to free run private construction companies.